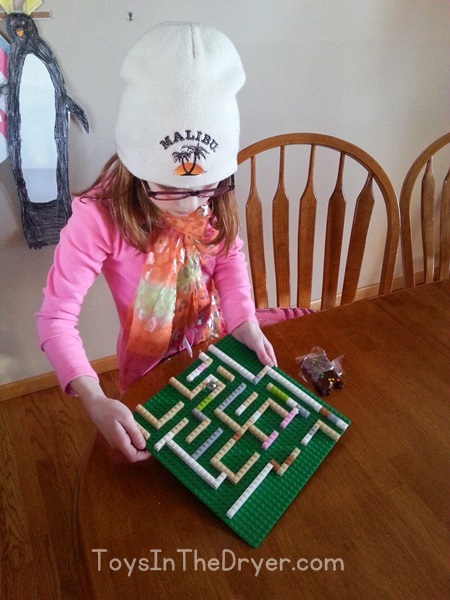 I have to admit, the Lego Marble Maze is not my idea. I discovered it on Pinterest. You’ll find the original idea on a French blog: de-tout-et-de-rien-caroline. I took one look at this maze and knew my girls would have fun with it. I just didn’t realize how much fun they’d actually have. 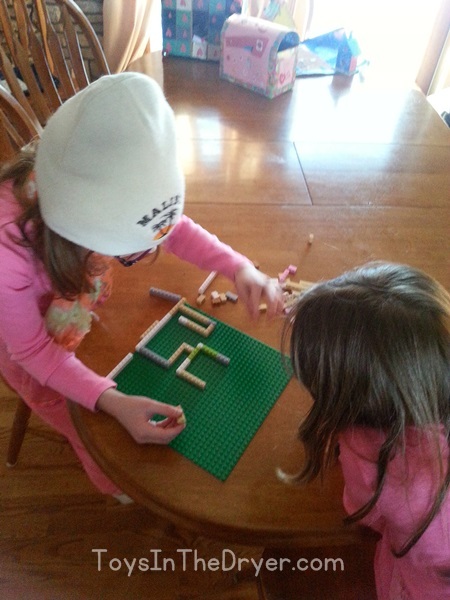 I had a Lego Marble Maze set up for them when they got home from school. My daughter saw it and said, “Oh cool! What is this?” After explaining to her what it was and how it works, she quickly set out to solve the maze. Both girls solved my maze fairly easily. Both were determined that they could make a harder maze. They spent the next few hours building different mazes and testing them out. 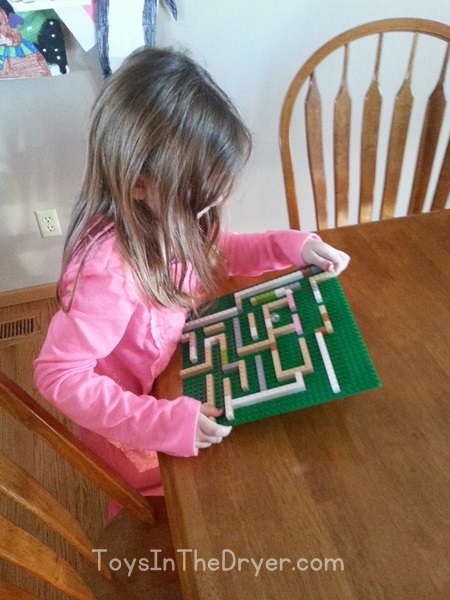 Yes, this simple Lego Marble Maze kept my girls occupied for at least two whole hours! Some of the mazes they made were better than mine! I thought it was fun to watch them work on their problem solving skills to see what would and would not work for the mazes. Wanna keep your kids occupied for a while? I highly suggest having them try to make Lego Marble Mazes!